If you have a child under three, chances are you’ve seen Peppa Pig a few times. With it’s annoying, sorry, catchy theme tune and funny characters it’s always possible to watch the show on a few different levels. As the show has gone from strength to strength, the amount of toys and merchandise available has rapidly increased. Whilst you can easily find Peppa Pig pyjamas and cutlery and toothbrushes, you can also find some really lovely play sets that are great for encouraging imaginative play. 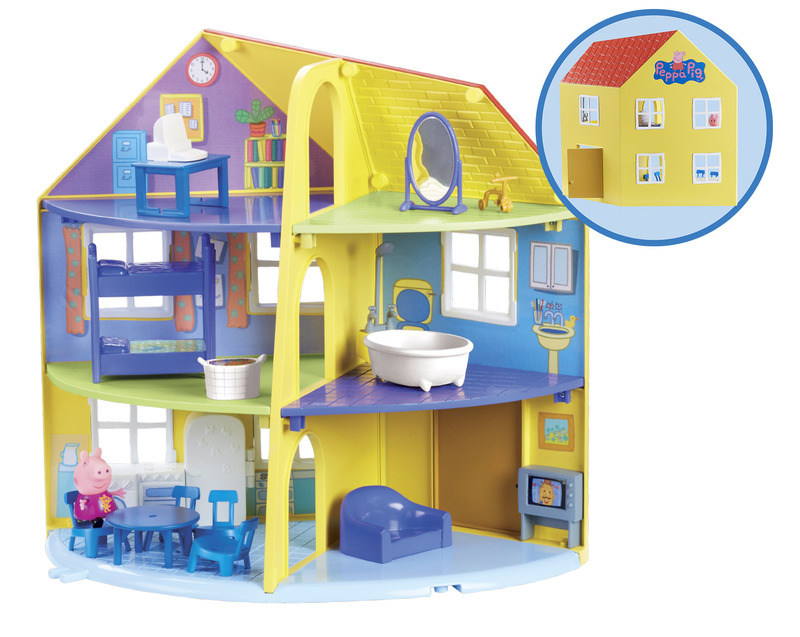 There are a whole array of play sets in the range, but one of the larger ones is Peppa Pig’s Family Home, priced at £39.99 – this is a true-to-show replica of the home Peppa shares with her family. The play set is packed full of furniture accessories, including things like a mirror, the bunk beds that Peppa and George share and the computer that Mummy Pig works from home on. The set also comes with and an articulated Peppa Pig figure, meaning little ones can take Peppa all over the house to play. There are lots of rooms for Peppa to play in including a kitchen, living room, bedroom, bathroom, office and attic room. This lovely playset is just like the iconic home in the show and will give children hours of imaginative fun. After they have watched an episode of Peppa Pig, you can see how they re-tell the stories through their own play, using the play set for inspiration. Do you think your little Peppa Pig fan would enjoy this?